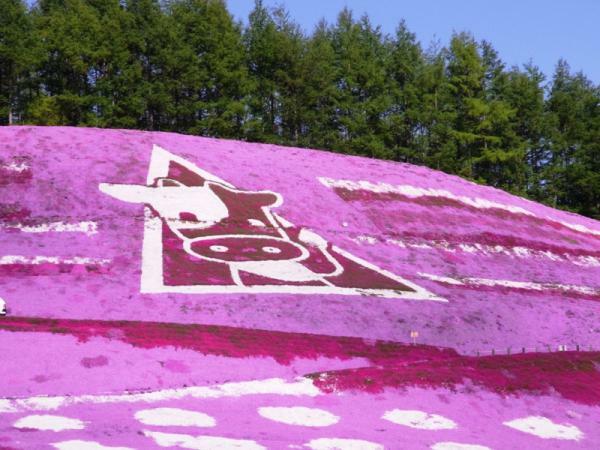 In Hokkaido there are several places where turf Zakura spread like a carpet. Among them, Shiba Zakura Takinoue Park in Takinoue-cho has a large area of mosaic cherry blossoms. 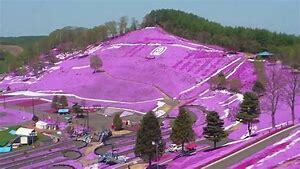 On one side, with a large site, it shows pink and white beautiful colors. Everything seems to have been a small amount of turf crescent for one citrus box at the beginning of planting. 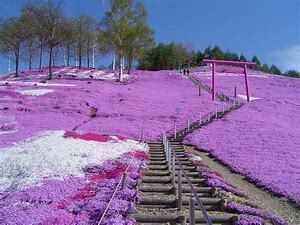 The view is from May to early June, it is a somewhat short period, but it is a very scenic landscape. The Monbetsu region in Takinoue-cho is a part separated from Chitose and Sapporo, I think that it is close to the natural scenery as it is imaged as hearing with Hokkaido. As you drive a camper from Chitose, the landscape that will gradually appear will change. Perhaps it is a journey of a freely running camping car that may fully enjoy the richness of nature.